Angry Birds Star Wars II is the sequel Angry Birds Star Wars and has an almost identical gameplay to the first version . However, it also adds a number of additional features that extend the gameplay significantly. This time , players can not only use characters from the Federation as Han Solo or Luke Skywalker, but can also join forces with the dark side and play with characters like Darth Maul , Anakin Skywalker ( young ) Mace Windu and Jango Fett . Each of these, of course, comes with its own special abilities . 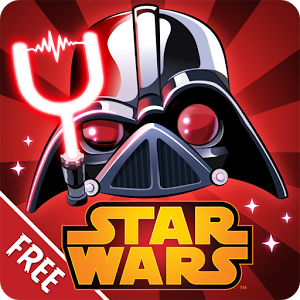 One of the most interesting Angry Birds Star Wars II additions compared to the previous titles in the franchise is that this time you can try to complete the levels with one side or the other. This means that you can choose which character you want to use to address each level, and can get a different score with each of them. Angry Birds Star Wars II is another great chapter of the franchise of video games on mobile devices. There are more characters, more levels, more surprises, more hours of fun and it is free to play on Android devices .